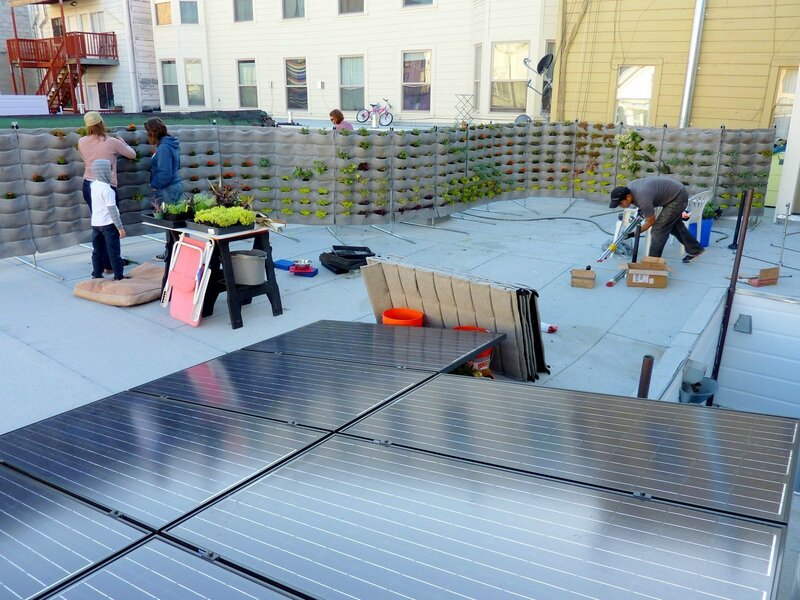 Joy Alberts of Joyous Spaces created a spectacular roof garden for her Mission District client in San Francisco. 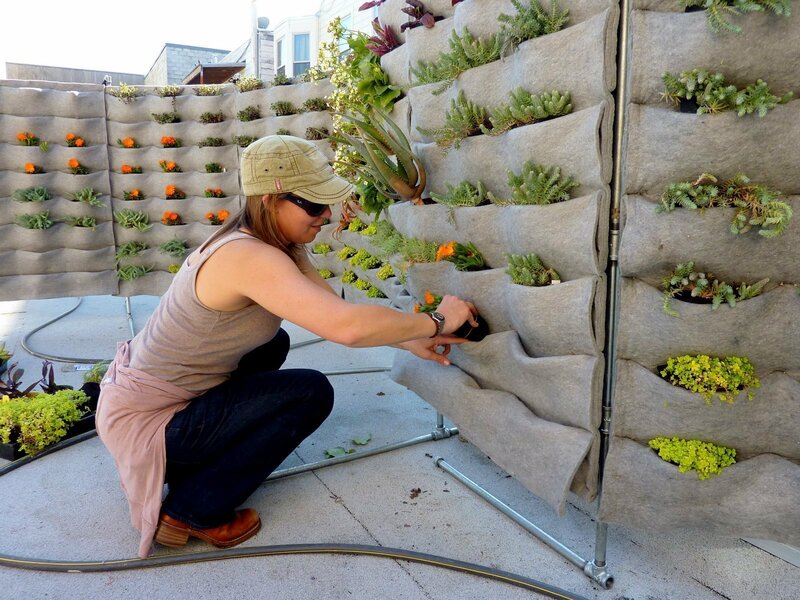 She used 25 Florafelt F24 Vertical Garden Planters to make a continuous snake of vertical garden to be filled with succulent and other full-sun varieties. 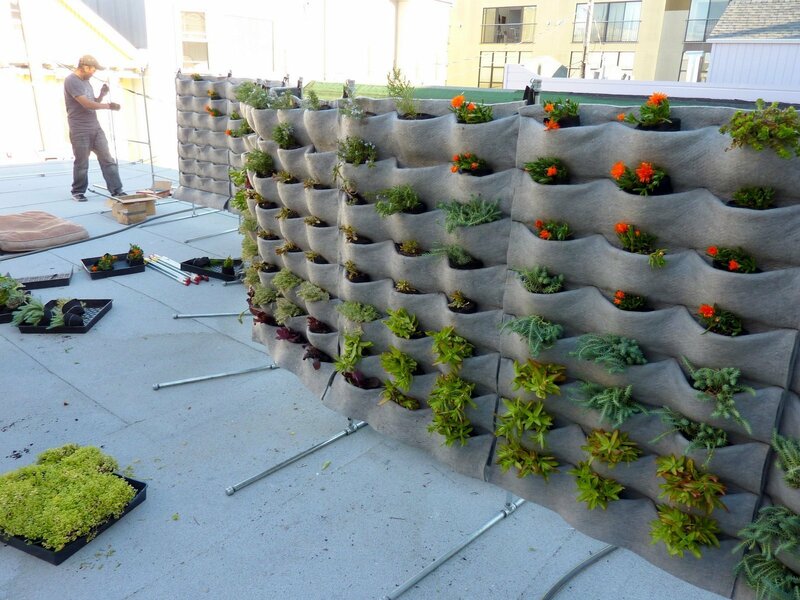 Chris Bribach of Plants On Walls provided the galvanized pipe frame system that allowed for an easy installation that also allowed for a non-penetration of the roof membrane. 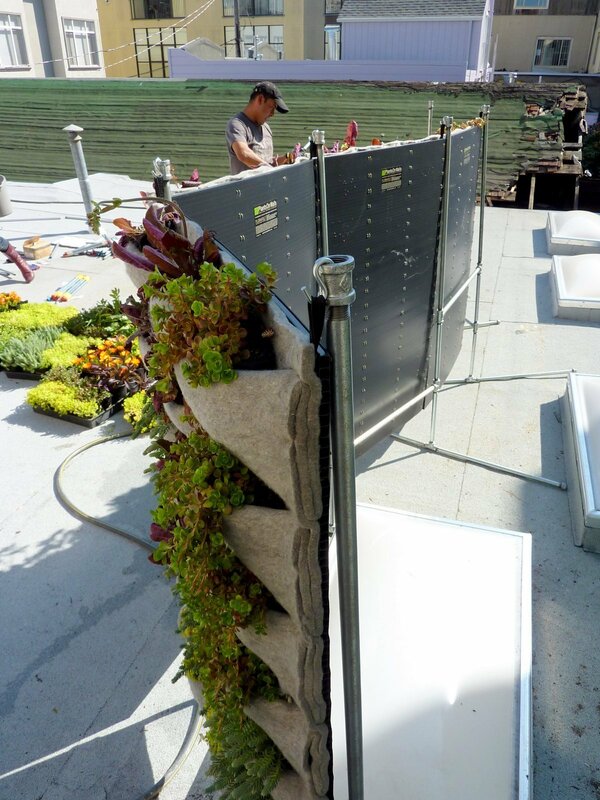 The 65 foot undulating living wall creates a privacy barrier flowing with living color, including herbs and edibles, and adds 260 square feet of urban garden. Joy Alberts, Joyous Spaces. Florafelt Vertical Garden Planters.